Puzzles can be a fun way for your child to pass the time. 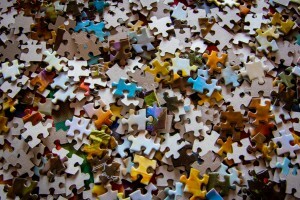 More so than that, however, puzzles can be a fun way for your child to develop skills. To learn how your child can benefit from solving puzzles, read below. Firstly, building a puzzle can help your child develop a few different emotional skills, which will benefit them during the rest of their life. For example, they need to be patient and persevere to solve the puzzle successfully. Moreover, they will feel satisfaction, a sense of accomplishment, an improvement on their mood, and a boost of confidence once they're done working on it. More surprising, however, is that puzzle-solving can sharpen a few of your child's physical skills. For example, when your child grabs and handles one of the puzzle pieces, they inadvertently work on and become more agile with their fine-motor skills. Furthermore, they will improve their hand-eye coordination. Last but definitely not least, your child will receive some cognitive benefits from solving puzzles regularly. For starters, it's necessary that they know how to recognize shapes, images, and colors in order to solve a puzzle correctly. Additionally, they will need to plan, problem-solve, and focus in order to do their puzzles. Once again, these are all skills that your child will need throughout the rest of their life, so it's awesome to start developing them now. To help your child become a better learner, enroll them in one-to-one tutoring in Milpitas CA. Call The Tutoring Center, Milpitas CA at 408-263-5377 to inquire about their academic programs, or to request a free diagnostic assessment.